The Youngstown State University indoor track and field team competed in the YSU National Mid-Major Invitational at the Watson and Tressel Training Site on Feb. 1 and 2, and freshman Olivia Jones from Gloucestershire, England, was awarded the title of the Nike Women’s Field Athlete of the Week in the Horizon League. Jones competed in the women’s pentathlon, a series of five events over the course of the track meet against fifteen other athletes. She showed sheer dominance by taking first in both the high jump and long jump. She also tacked on two second-place finishes in the 60-meter hurdle and the shot-put. 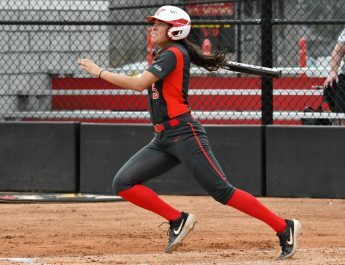 A fifth-place finish in the 800-meter run was enough to guide her to first place overall, which gave her total score of 3410 points, a total that ranks third in all-time YSU history. Her score also currently occupies the top spot in the Women’s Pentathlon standings for the Horizon League. Jones also posted personal best marks for both the 60-meter hurdle and 800-meter run with times of 9.19 seconds and 2:37.44, respectively. She finished with a distance of 5.21 meters on the long jump, 10.10 meters on the shot-put and a height of 1.64 meters on the high jump. 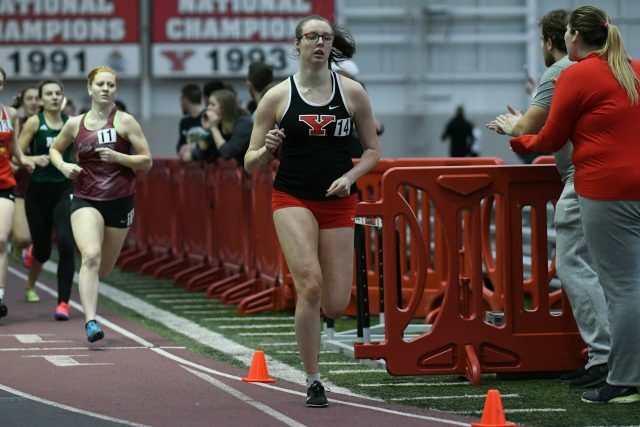 Two other athletes competed in the pentathlon for YSU, with freshman Hailey Puckett finishing fifth overall and sophomore Coreen Crosby finishing in ninth place for the Penguins. There have been three Penguins awarded weekly honors so far this season for the women’s track and field team: Chontel Fils, Jaliyah Elliott and now Jones. On the men’s side, Chad Zallow has won weekly honors three times so far this season. The Penguins’ next home meet is on Feb. 23 and 24, when YSU hosts the Horizon League Indoor Track and Field Championship.